Some of the world’s coolest signs | HTT Signs Ltd.
Signs are a big deal everywhere you go. 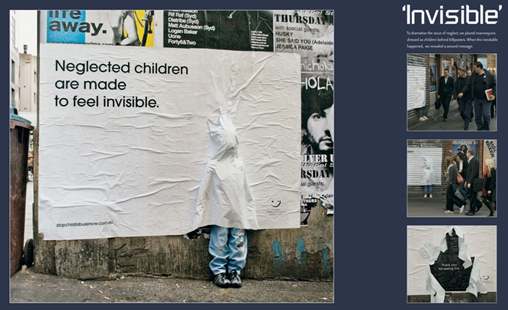 Studies suggest that the average citizen of an industrialized country will see over a thousand signs a day. Here are some of the world’s most creative ways to stand out from the herd. Anando Milk Building. You might have seen this sign before. It is probably the most internet-famous billboard in the world. 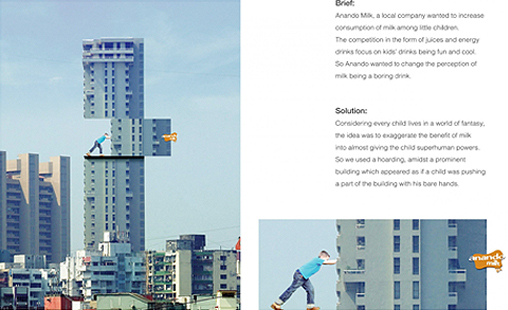 It uses a clever optical illusion to convey the idea that milk helps kids grow strong. 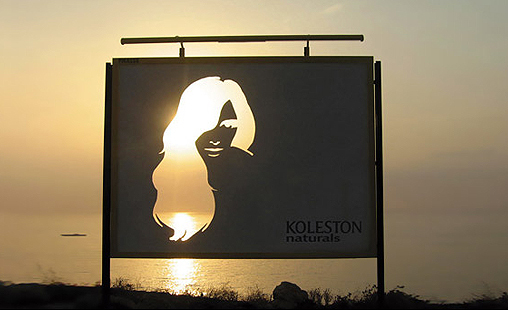 Koleston Naturals. Koleston Naturals is a range of hair dyes. In this billboard, as the sun sets, the colour of the woman’s hair changes naturally. 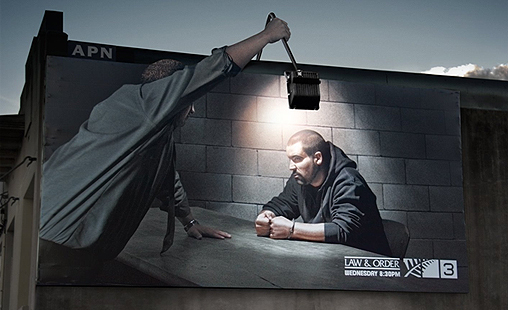 Some of the best billboards are ones that think outside the board! Here are some of our favorites. Volkswagen Up. No slogan could better encapsulate the Volkswagen philosophy than the one on this French ad, “It’s Good to Be Small.” This ad, complete with a miniaturized Volkswagen model, takes a criticism of their cars and turns it into a bragging right. This is what marketing is all about, folks (er, Volks). This sign has the most creative use of front detached lighting that we’ve ever seen. At HTT Signs, we pride ourselves on state-of-the art materials, methods, and equipment. Technology is changing and we change with it. However, even we think that some marketers out there might be taking sign technology a little too far. 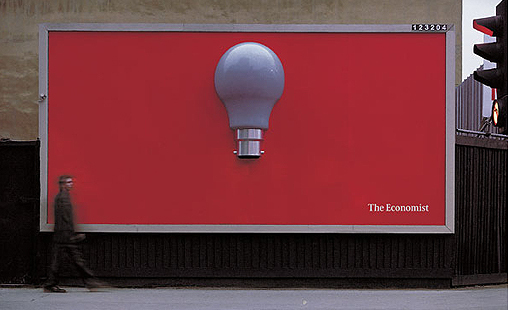 Economist Lightbulb. This billboard contains a motion sensor that lights the bulb whenever anyone walks underneath it. It’s almost as good a way of looking smart as reading the Economist magazine! The Invisible Drive. Mercedes-Benz advertised their new low-emissions model a little counter-intuitively: they made it less visible. 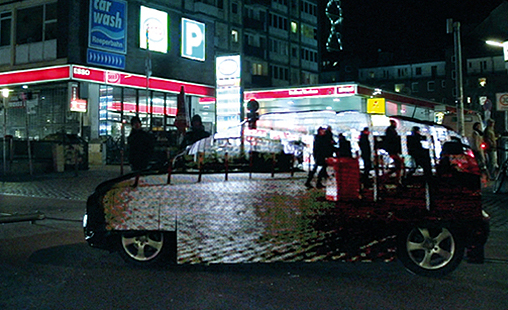 The car is covered with an LED projector sign that shows whatever is behind the car at any given moment. I remember when cars like this were just gadgets in Bond movies. Calvin Klein Disappearing Camisole. Well, this certainly gets the point across. When dry, the photo shows a model in a white camisole, but in the rain, a more attention-grabbing photo is revealed. How long do vinyl banners last? What are sign management services and how can they help your business?